A few months ago I was attending Steven and Virginie in Rochester and they had a panel with Dawn Hampton and Norma Miller which I attended. During the talk Norma mentioned a man by the name of Ernie Smith and said something to the effect that without him we may have never seen the film Hellzapoppin. I can only imagine that the world of modern day swing dancing would look much different if that film were unknown to our community. When the new groups taking an interest in the Lindy emerged in the early 1980’s most of them found their way to Ernie’s place. The “Swedish Swing Society” did in 1984 and the “Jiving Lindy Hoppers” followed in 1985. Ernie put us in touch with each other and the newly organised group of former Al Minns students who became the “New York Swing Dance Society.” Moreover Ernie gave us the telephone numbers of surviving Lindy maestros like Norma Miller and Pepsi Bethel, and in fact it is difficult to know where we would have been without him. The ERNIE SMITH JAZZ FILM COLLECTION, 1894-1979 consists of 352 reels of 16mm motion picture film. To put that in persecutive that is one of the largest film collections based on jazz dancing in existence. 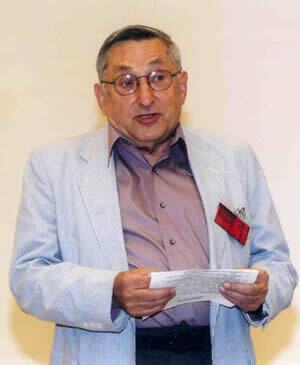 Due to what started out as a curiosity, over time and through hard work Ernie managed to network some of the most influential members of our community together, educate countless people about the history of the jazz dancing, and provided resources to dancers in the past and present that shaped our entire community. The reason why I mention Ernie’s work is I believe we are at an important point in the development of our dances. Unfortunately we are slowly losing our original dancers and there will be a time in the near future where there will not be new dancers who can say they have learned the stops routine from an original Savoy Ballroom dancer or “finesse” from an original L.A. balboa dancer. I believe it is important to support individuals and organizations who educate and preserve the history of our dances. It’s why I have been excited about a new group started by our friends from Cat’s Corner out in Montreal, the Jazz Rhythm Inspirations. They have been offering a wealth of information about jazz dancing in an easily digestible platform. In addition Mike Thibault out in Rochester, with the help of Groove Juice Swing over the last two years, had some very good talks two years ago featuring Kevin Minns, the son of Al Minns. This year, they repeated their success through a talk with Norma Miller and Dawn Hampton at their event “Steven and Virginie” in Rochester. Bobby White also has been doing a great job at his blog Swungover thanks to an interview with Norma Miller at Beantown out in Massachusetts, an informative article about the real “swing kids” of Germany. The article has great references, such as the Stephen Wuthe a Berlin-based DJ who has gathered extremely vast knowledge about Swing music, and Swing 101, which is the best primer I know to date for new dancers to learn about the history of our dance. Last but certainly not least is my favorite blog Jassdancer. Every post on this blog is solid and contains occasionally humorous, but always informative history about “jass” dancing. My only complaint is I wish it would be updated more often. 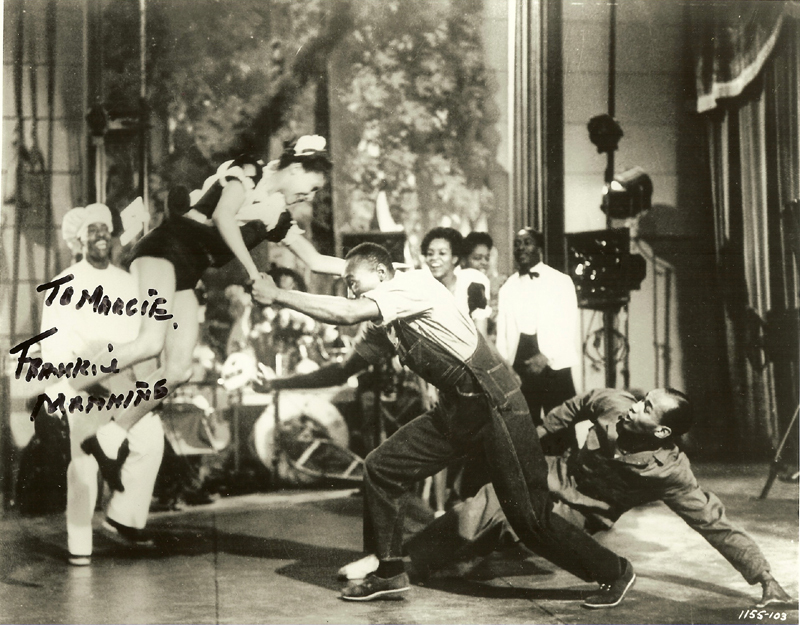 While innovation and moving our dance forward is important, I believe the preservation and education of the history of our dances for the swing dance community is essential. This is why I challenge each reader to, at the minimum (if you have a spare moment), to support individuals who provide the services above. If you are feeling more ambitious and you have the time then I challenge you to to do it yourself. Who knows, you might be the next Mura Dehn or Ernie Smith. This entry was posted on December 30, 2013 by Apache. It was filed under Dance and was tagged with ernie smith, jazz dancing, Swing Dance. Hey Dirk, sorry for the late reply. Thanks for catching this, it is now fixed!